Here are two stocks that we are looking to play from the long side today. The first is Gardner Denver Holdings (GDI) which makes scientific and technical instruments. 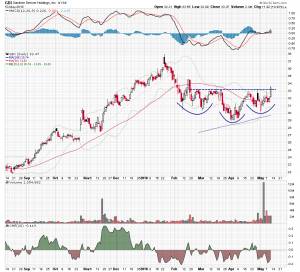 Shares have been consolidating in an inverse head and shoulders continuation pattern for the last three months. Neckline resistance is situated in the $33.20 area and the stock price closed above it in Thursday’s session. 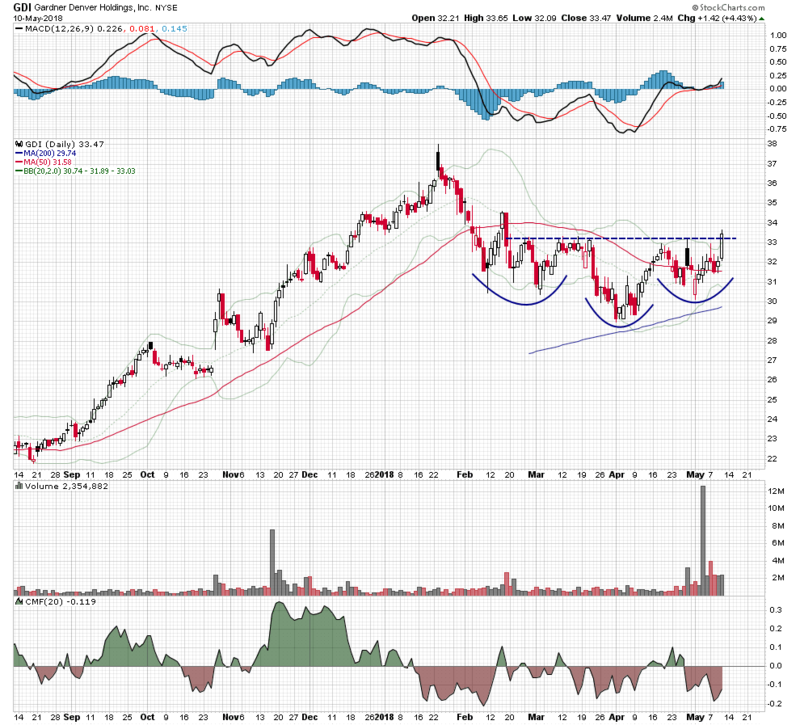 The H&S pattern projects an upside price objective that targets the old high made early this year. The information technologies services company Accenture (ACN) is the second chart of interest. 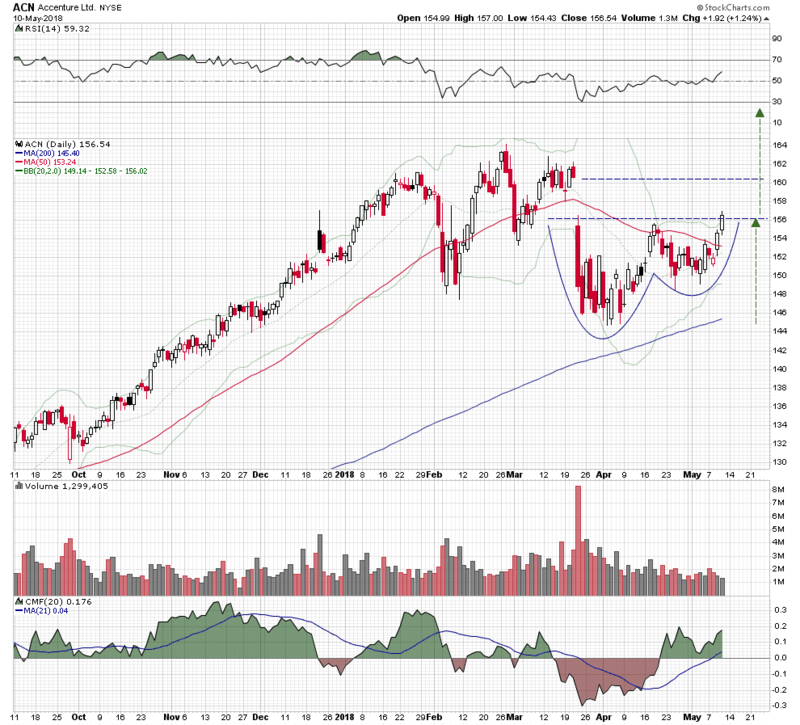 A cup and handle consolidation pattern has formed on this chart over the last two months, just below a downside gap. Rim line resistance is located at the $156 level and the stock closed slightly above it on Thursday. The relative strength index has been tracking higher during the consolidation period in bullish divergence to price, and Chaikin money moved up into positive territory last month. 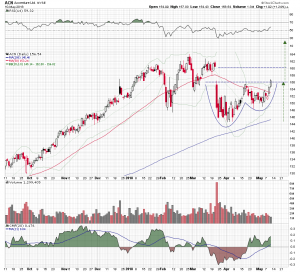 The cup and handle pattern has about a $5.00 upside target price, which, if achieved, would be a new all time high.